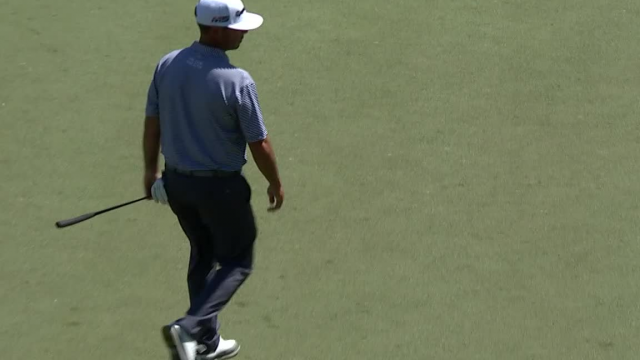 In the second round of the 2019 Valspar Championship, Chez Reavie drains a 38-foot putt to make birdie at the par-4 12th hole. In the third round of the 2019 Sony Open in Hawaii, Chez Reavie lands his 165-yard approach inside 5 feet of the cup at the par-4 16th hole. Following an opening-round 65, Chez Reavie reflects on his play at the 2019 Sony Open in Hawaii. In the second round of the 2018 Dell Technologies Championship, Chez Reavie sinks a 24-foot birdie putt on the par-3 16th hole. In the final round of the 2018 FedEx St. In the third round of the 2018 FedEx St. In the second round of THE PLAYERS Championship 2018, Chez Reavie sinks a 31-foot birdie putt on the par-4 14th hole. In the opening round of THE PLAYERS Championship 2018, Chez Reavie holes a 20-foot eagle putt on the par-4 12th hole.